Leo started out in non-league football as a teenager with Tiptree United playing various roles including striker. At 18, he joined Bishop Stortford before moving on to play for Dartford during the 1992/93 season (when the club folded). A successful season with Dagenham followed and he eventually signed for Stevenage Borough in the summer of 1994. After a successful season at the Conference side, he was sold to Gillingham at end of season for £5,000 and was their top scorer in the 1995/96 season. While at Gillingham, he went on loan to Leyton Orient in March 1997, before joining Lincoln City on a free transfer in June 1998. Another loan took him to Rotherham in October 1998 where he scored 4 goals in 5 games. In November 1998 he joined Brentford for £60,000, but after failing to make an impression, went back to Rotherham for £35,000. After a successful period with Rotherham, Cardiff paid £300,000 for his services in September 2000 and he achieved two promotions with the Bluebirds. He was released in the summer of 2003, and joined Doncaster Rovers on a free transfer. Leo joined Rushden & Diamonds from Doncaster on 23 June 2006 and played six times at the beginning of the season, before falling out of favour. He went on loan to Torquay United on 28 September 2006, but was recalled on 2 November due to several injuries in the squad. Loaned out again on 6 November to Shrewsbury Town until the end of the season. He was transfer listed in May 2007. After being unable to find a new club, he was allocated the squad number 26 for the 2007/08 season, but eventually left by mutual consent on 3 August 2007, joining Cambridge United the following week. In January 2008, he went on loan to York City for the remainder of the season, although he returned to play for Cambridge United in the Conference play-offs. He was released at the end of the season and signed for Conference North side Alfreton Town on 11 June 2008, before joining North Ferriby United AFC of the Northern Premier League Premier Division in March 2009 for the remainder of the season. 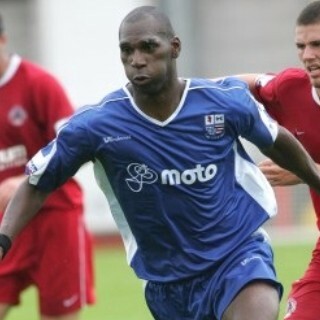 In August 2009, he joined NPL Division One South side Goole AFC, but left the following summer. Leo continued his travels, and joined Northern Counties East League Premier side Armthorpe Welfare on 3 November 2010, scoring on his debut three days later. After increasing his interest in the coaching side of things during the following season, he was appointed Manager on 4 May 2012, but left the club less than a year later on 4 April 2013. He then retired from the game.